There is nobody who does not like to save money and today is a good day to do just that. 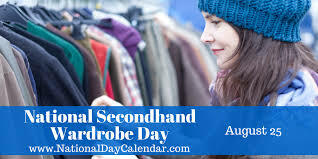 National Secondhand Wardrobe Day is celebrated each year across the United States on August 25. The practicality and thriftiness of second-hand shopping in today’s economy, it’s earth-saving benefits as well as donating some of your own slightly worn clothing is what National Secondhand Wardrobe Day is all about. 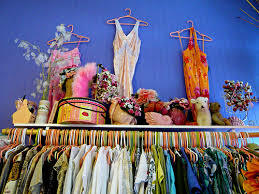 Freeing up some of your closet space and donating some of your rarely worn clothes will benefit you with extra space, than donating your clothing will be helping someone else who is a secondhand store shopper. Your donation will be a blessing to them as well as to the charity that runs the store. This above scenario is the, recycling, reusing, re-purposing cycle that we are trying, so hard, to teach the next generation!